Some people are by nature more private than others, and care more about infringements of their privacy. In a business, some employees may not care very much about their own privacy, perhaps because they do not fully understand the importance of safeguarding it. If this is the case, they are likely to have the same careless attitude towards the personal information that the business holds about other people, which could lead to costly mistakes. A company’s nominated data controller has a duty to ensure that employees are aware of their obligations under the Data Protection Act. A good data protection policy is no good unless staff follow it, so they need to understand how important it is. Accurate and well-maintained records help a company to be efficient and profitable. Privacy is closely linked to accuracy: private records about individuals must be controlled and kept up to date. Good housekeeping of this information, performed by workers who treat it with respect, will help the business to do well. Employees need to be reminded of this link. They should already be motivated to take actions that help the business to thrive in order to prosper themselves; if this is not the case then this should be addressed urgently. Perhaps the most compelling reason to safeguard other people’s records is that you hope and trust that they are doing the same for you. 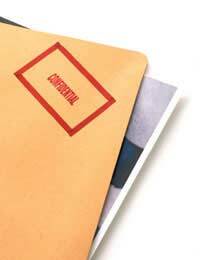 Therefore, it is important that staff understand the importance of protecting their own private details. Everyone has had his or her privacy invaded at some time. We have all suffered the discomfort of being crowded too close to other people on a commuter train or having someone looking over our shoulders unexpectedly when we are working. When it comes to our personal information, the effects of poor controls over its privacy can be less tangible. So what if a supermarket sells details of our spending habits to a marketing company? Who cares if our Internet Service Provider keeps records of the websites we visit? Unfortunately, there is a sinister backdrop to the issue of privacy. Fraudsters can commit identity theft with relatively basic personal details and a lot of blagging, stealing money by posing as other people. If an identity is stolen in this way, it could cost the victim money; even if it doesn’t, they may have to spend valuable time trying to straighten out their credit record. Identity theft is not the only concern individuals should have. If companies hold inaccurate information about them, customers may find that they are refused services that they should be entitled to or that goods they order are sent to their old address. Staff that handle other people’s personal records require training so that they fully understand the importance of securing and maintaining this information. An effective approach to this is teaching by analogy to how they would want their own information to be handled by the organisations that hold it. This must be backed up by reasoned and thorough data handling policies and procedures, so that caring about privacy becomes the path of least resistance for employees.